PRP Treatment For Face Manhattan: What Is A PRP Treatment For The Face? Kim Kardashian called it the “vampire facial” which, we feel, gave it something like a bad rap. You aren’t bathing in virgin’s blood, you aren’t even injecting someone else’s blood into your body, you’re just trying to give your skin the good nutrients it needs to look and feel great. So when PRP treatments for the face are met with cringes and raised eyebrows, it’s really completely unwarranted. As a race, homosapiens have proved to be incredibly innovative and totally capable of manipulating the natural world to favor the outcome we want. The plasma treatment for the face is no different, in that it’s merely manipulating what we have naturally to achieve the results we want to see. 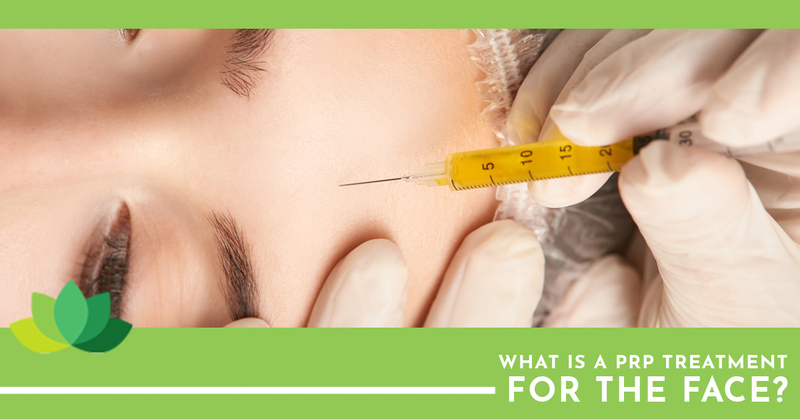 What is a Platelet-Rich Plasma? It’s the PRP in PRP facial and it’s essentially the action of bathing troubled or damaged cells in a mixture of platelets from your own blood. You’ll know platelets as the mechanisms in your blood that are involved in clotting and healing wounds. They’re known for stimulating the healing process naturally and are regularly used in regenerative medicine and so it wasn’t a leap of faith to assume that it would probably work on the largest organ in your body: your skin. To start, we draw some of your own blood. Then the blood is “spun-down” to separate the different portions of the blood and pull the plasma away from the rest of your blood. This is the PRP that will be injected into your skin via microneedling. The plasma platelets are high in growth hormone and the microneedling itself already stimulates skin rejuvenation in a similar way that laser therapy does for vaginal rejuvenation. Little abrasions can encourage collagen growth as the skin is forced to heal itself as it goes. Essentially, it aids the cell turnover in your skin. There are many who’ve said that the results are equivalent to a facelift without the the down time and general side effects of a face lift. Some folks worry that they’ll experience an allergic reaction, but you won’t be able to have an allergic reaction to your own blood which is all that’s used in the treatment besides potentially a numbing cream for your face. The vampire facial doesn’t just repair your skin, it provides that glow back to your skin that was promised and it helps even out your complexion. It takes about two weeks to see the full results of firmer skin with shrunken zits and that glowy complexion that makes you feel amazing. While every type of skin is different, there are usually pretty noticeable effects as soon as three days after the facial. While some complain of prolonged redness, it’s extremely unusual to see that stretch beyond the three day gestation period where we recommend some minor down time. If you feel like the skin of your face could use some revitalization and a little boost, reach out to us. Dr.Bronfman is renowned for performing careful precise procedures that produce amazing results. With all of our services being extremely well-researched, it’s hard not to appreciate the suite of offerings and their effects on your long-term beauty. Invest in the future of your skin and your confidence with Dr. Bronfman today.